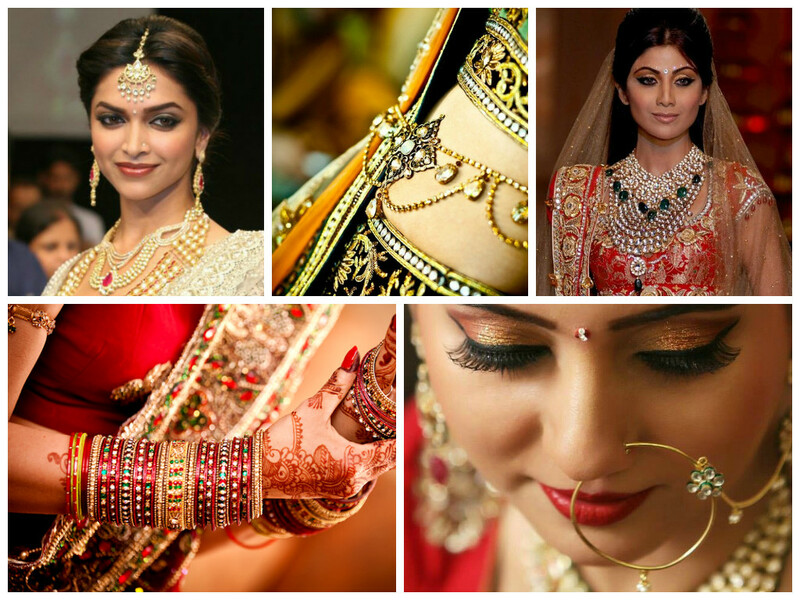 Without a doubt, these five jewellery pieces are absolutely essential for Indian brides. These embellishments will be the centre of attention so take out the time to ensure that each piece is the very best that it can be. Having disappeared from the matrimonial scene for a few years, the stunning maang tikka has made a major comeback and how. 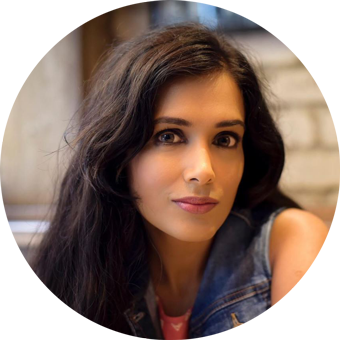 As a rule of thumb, ladies with broad foreheads can opt for a heavy maang tikka whilst those with narrow foreheads should stick to a simple, single-stranded piece. It is always a good idea to buy your maang tikka as part of your bridal jewellery set to ensure that the style is consistent with the rest of your baubles. If you are feeling bold, the classic matha patti is equally dazzling. What is a wedding ensemble without arms full of choodiyan? No matter where you hail from, bangles are an indispensible part of every bride’s look. Traditionally worn in shades of green, red and white, the modern day bride prefers to match her bangles to the rest of her outfit. Today, bangles come in all sorts of designs and materials so there is bound to be something for every kind of bride. You will be hard-pressed to find a bride with a bare neck. The necklace, or haar as it is called in India, is one of the most important accessories for ladies who are about to get hitched. In fact, many brides wear multiple necklaces on their big day, layering different lengths and styles for a beautiful effect. My favourite style of bridal necklace is the bold kundan collar that, to my mind, exudes timeless sophistication like nothing else. The traditional bridal nose ring, also known as the nath, has come back with a bang. I love the large, dramatic pieces with a long chain that is attached to the brides hair, but simple nose rings can look equally stunning, especially if the rest of your jewellery is rather heavy. If you do not have your nose pierced but really want to wear a nose ring on your big day, please do not run out and get your sniffer pierced. Look around with a careful eye and you will find a wide range of clip-on options that are classy and comfortable. What more does a girl need? An ethnic waistband is a great way for brides to add some extra glamour to their look, especially when they are sporting a sari for their nuptials. Depending on the look that you are trying to achieve, the kamarbandh can vary from a simple gold chain to a heavy gem-encrusted belt. These are usually not sold as part of bridal jewellery sets so it is important to ensure that this piece goes well with the rest of your baubles. In fact, it might be a good idea to take your necklace along when you go shopping for a kamarbandh. Here’s wishing you a lifetime of happily wedded bliss!